Passed Thevenard Island with its numerous oil and gas platforms. At the same time we passed the town of Onslow to the South which is the service port for the oil and gas plants on Barrow Island. It also has a salt export jetty. 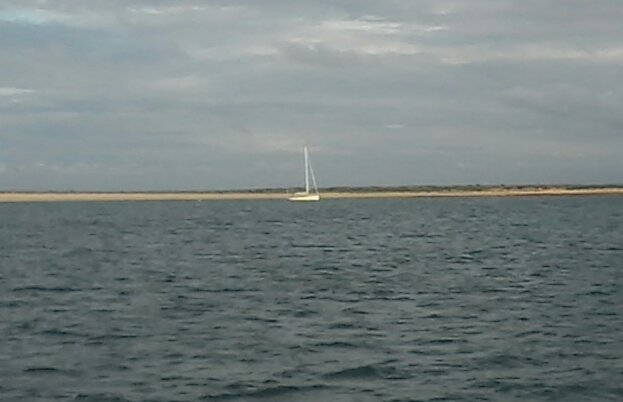 Enjoying a 20 kt Northwesterly breeze that was not forecast so are making good progress though the sea is a bit lumpy. Amazed at the infrastructure being deployed in the search and production of oil and gas. 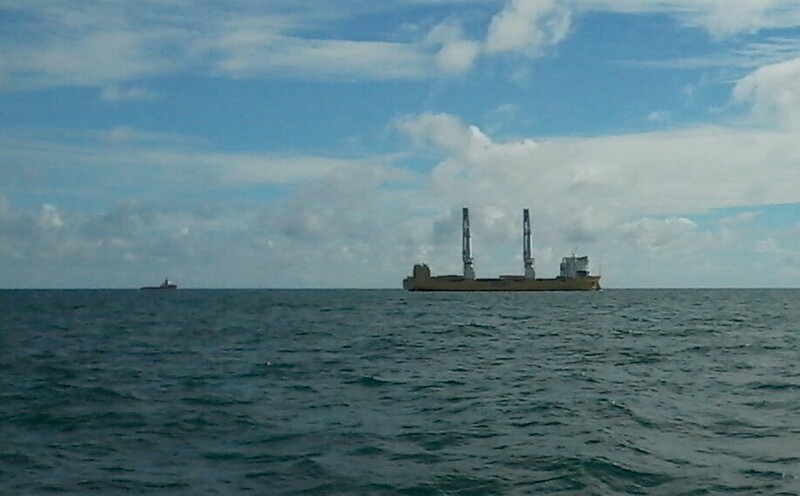 The Dutch registered heavy lifting ship Happy Star is 156m long. Sounds like a China man owns and named it, not a Dutchman. And speaking of Dutchmen, there is a 50 foot monohull yacht flying the Dutch flag here in the SW anchorage at Serrurier Island. Filet steak for dinner tonight. 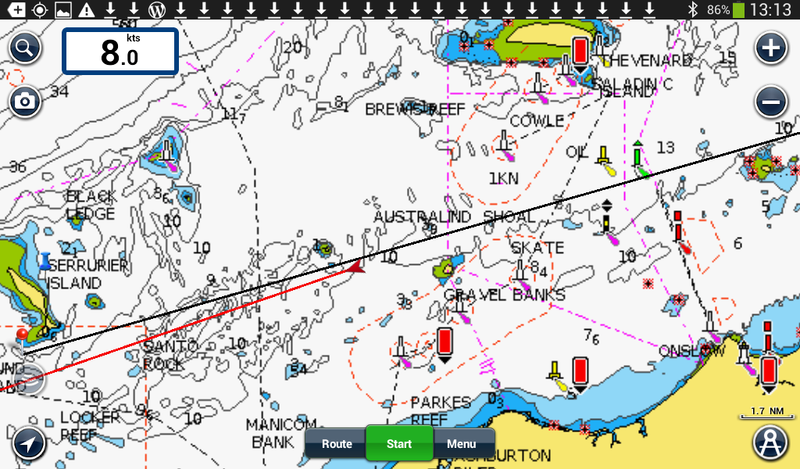 This entry was posted in Broome to Freo. Bookmark the permalink.